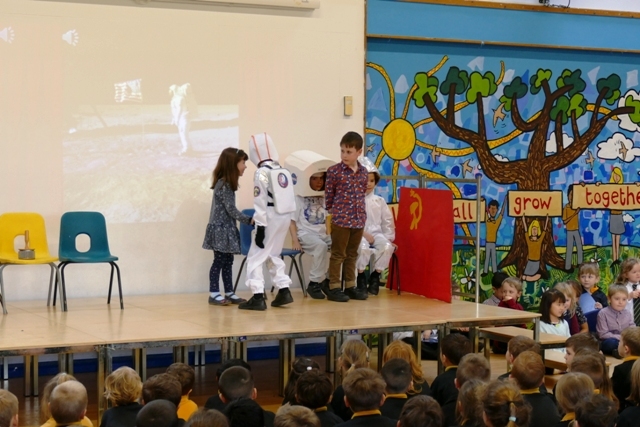 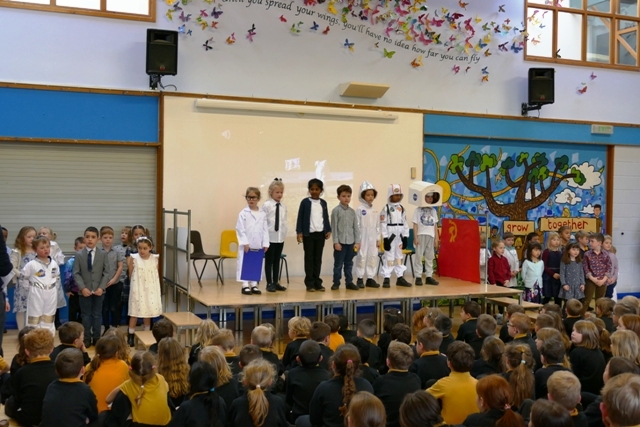 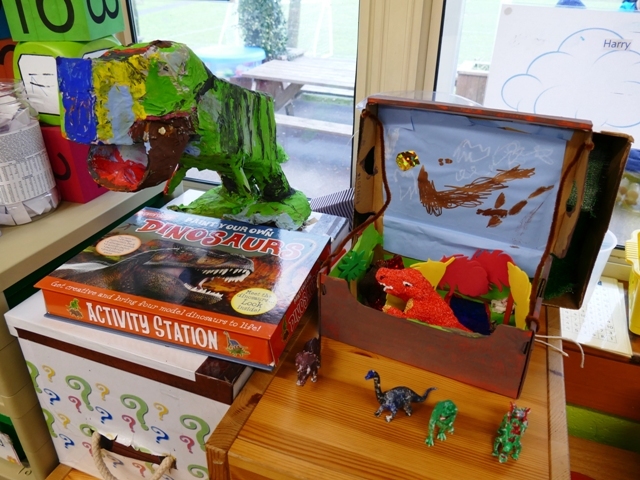 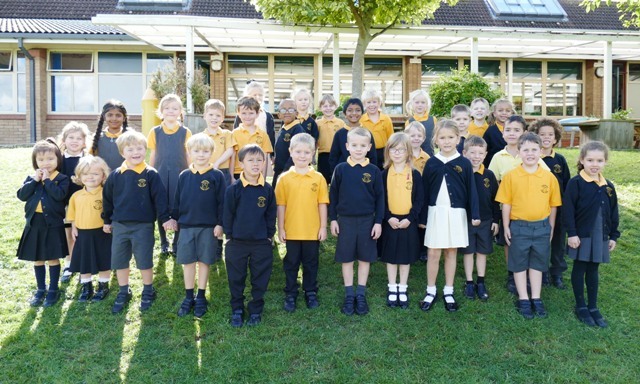 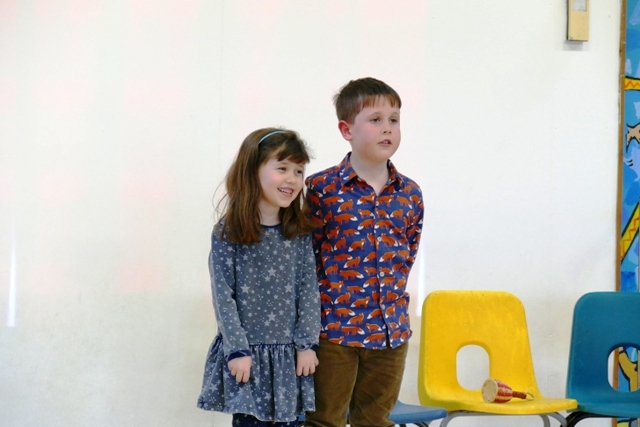 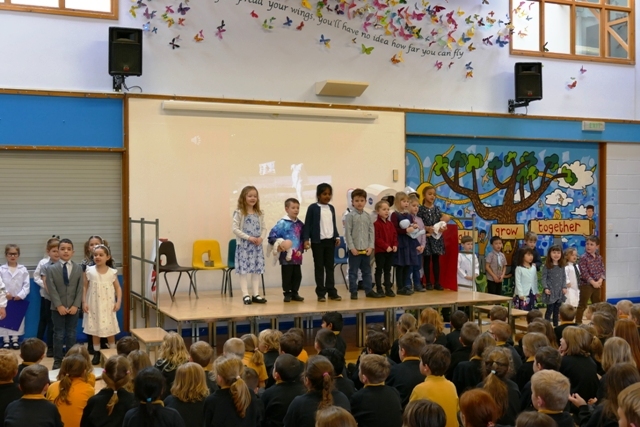 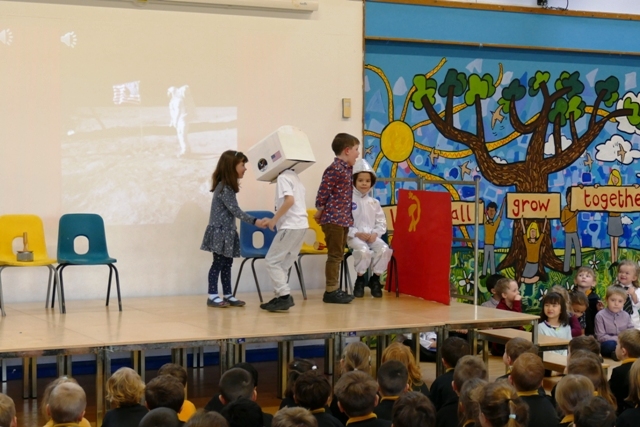 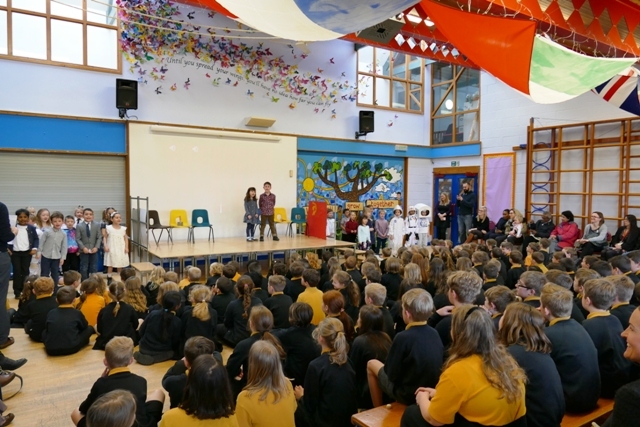 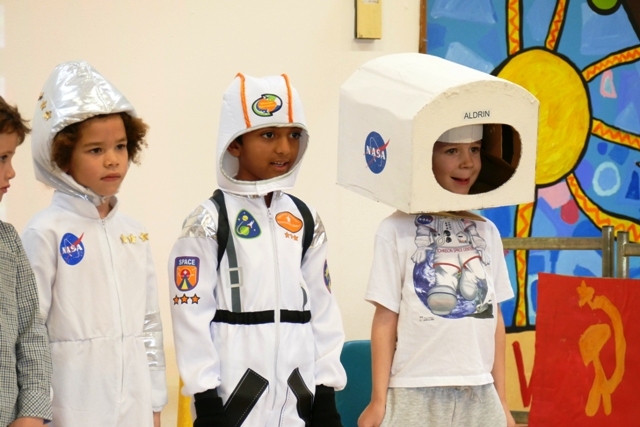 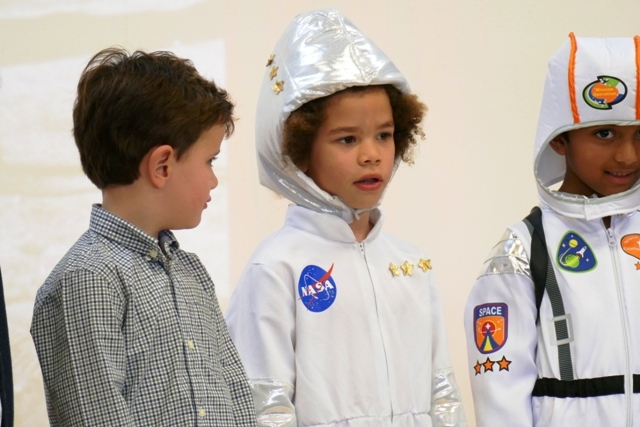 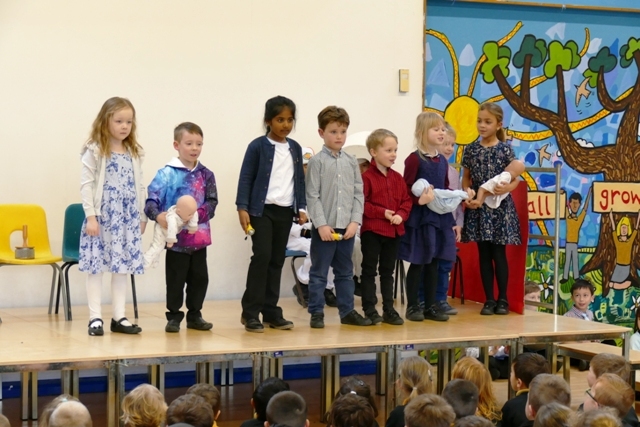 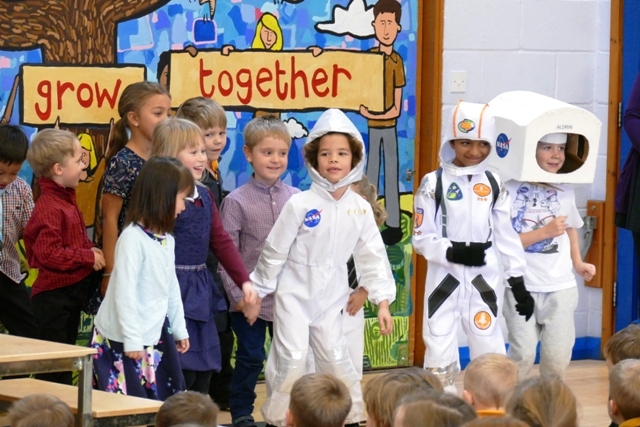 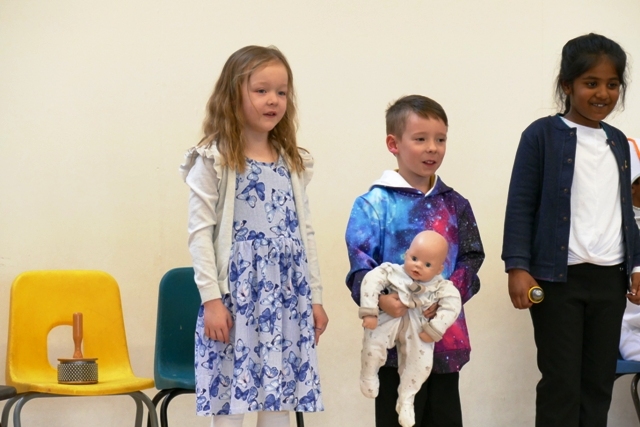 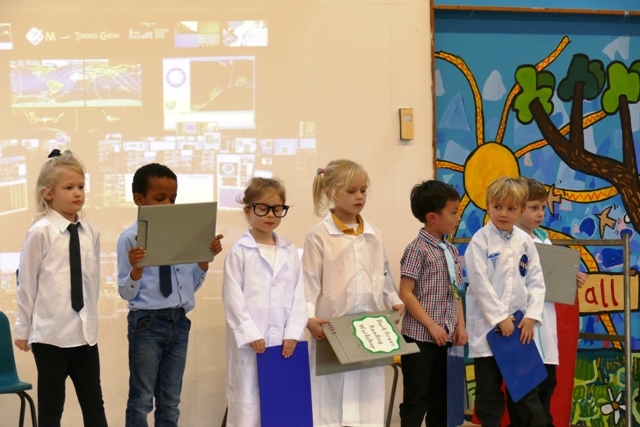 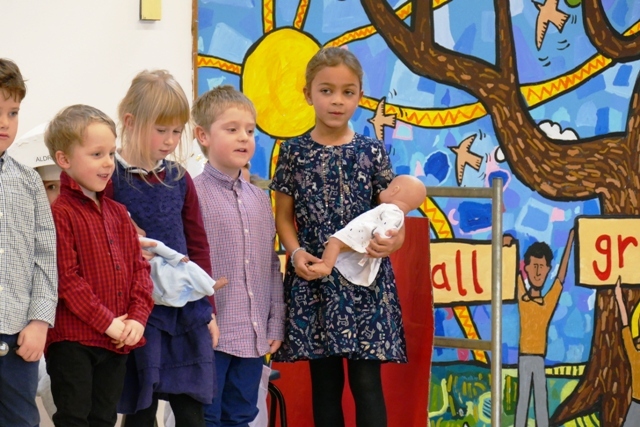 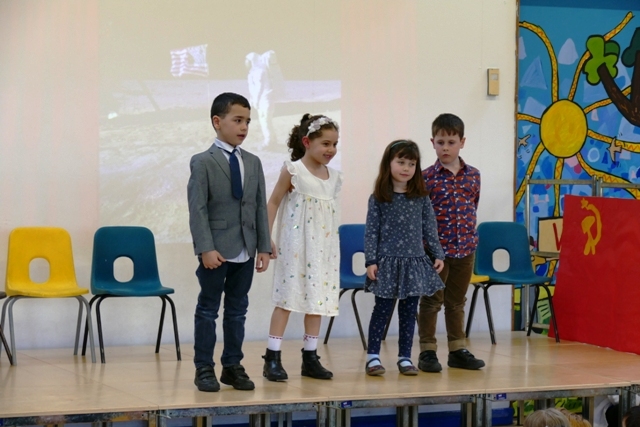 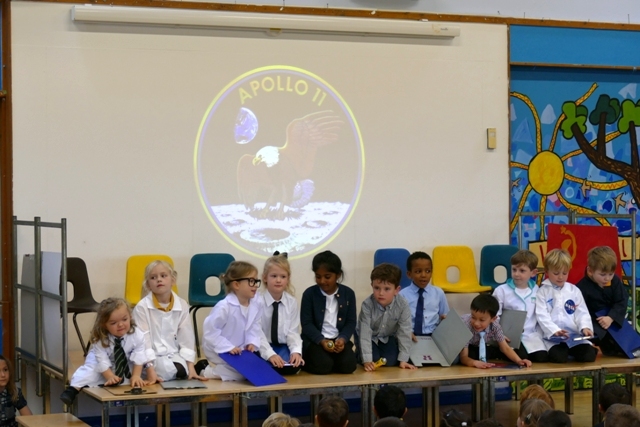 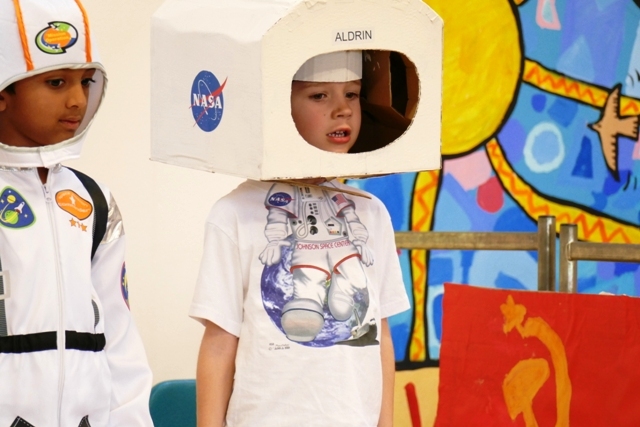 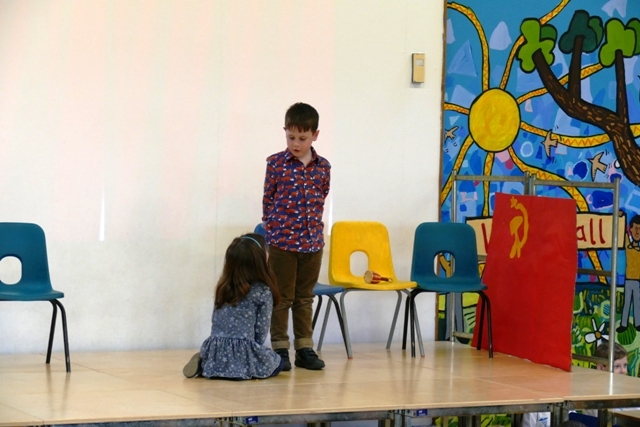 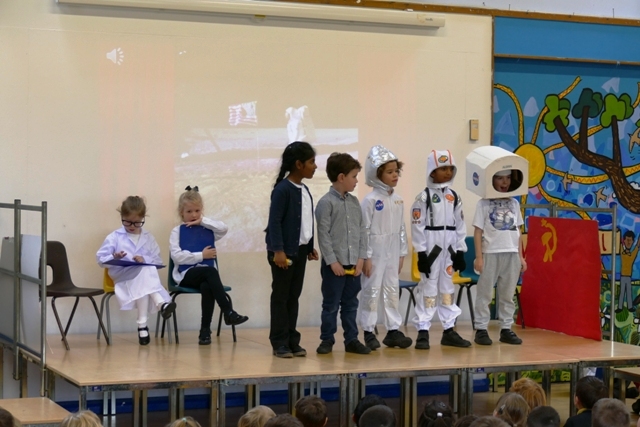 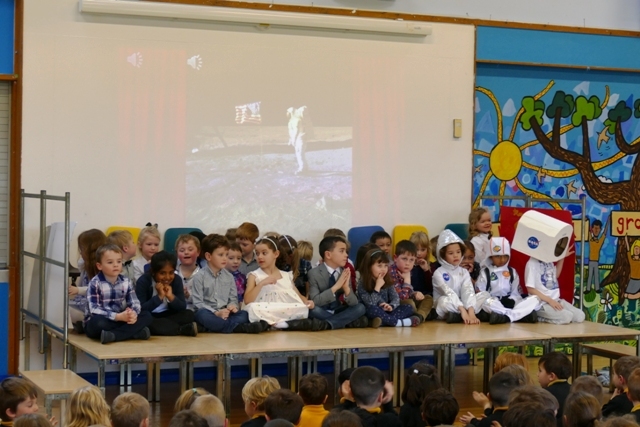 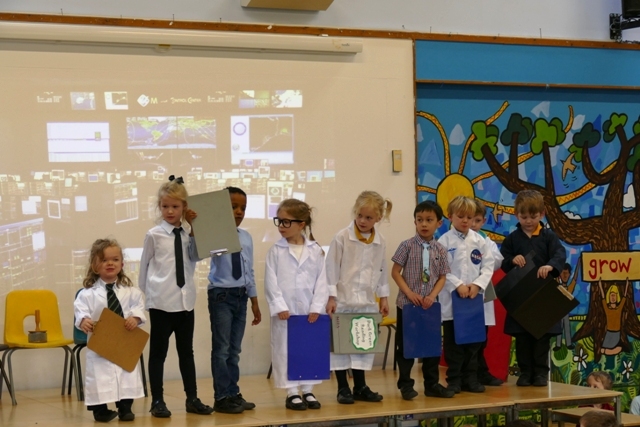 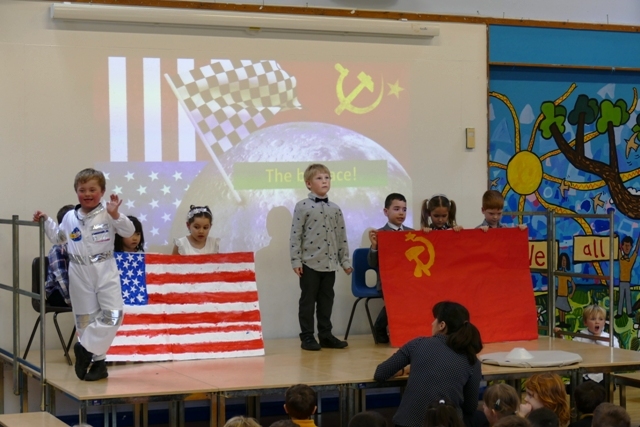 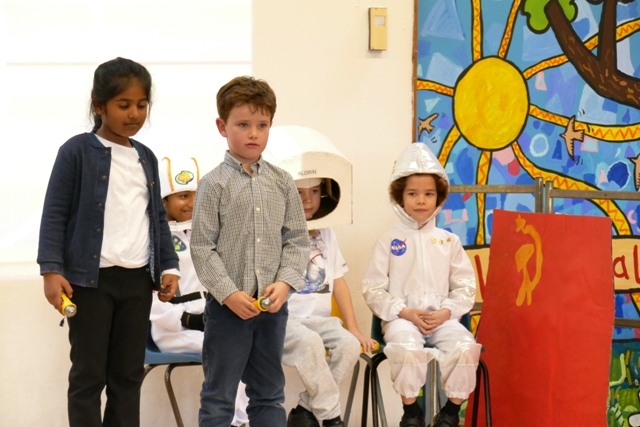 "It was one small step for a class - one giant leap for Year 1"
On Wednesday 6th March, Conker Class presented their assembly about the space race and the Apollo 11 mission to the Moon. 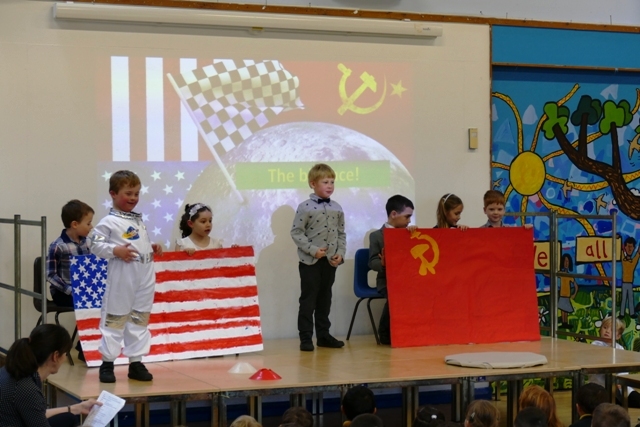 We heard how the USA and USSR competed to be first with a manned flight to the Moon, ending with the landing on July 20th, 1969 and Neil Armstrong's first steps on the surface. 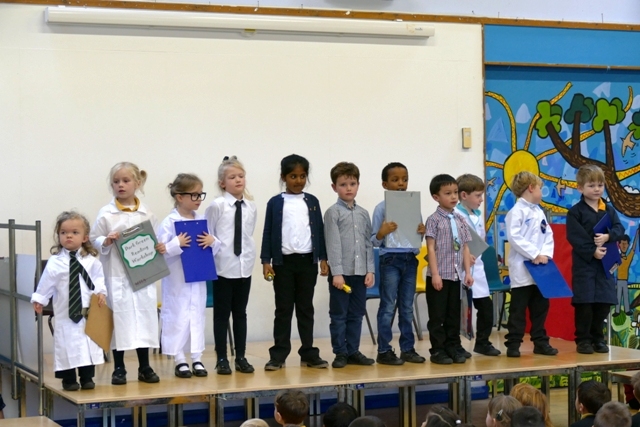 Conker Class presented the story in a lively and entertaining way - and with some great costumes!